The young larvae of the first generation briefly mine a young leaf in early spring, next live as stem borers; around May they pupate inside the stem. 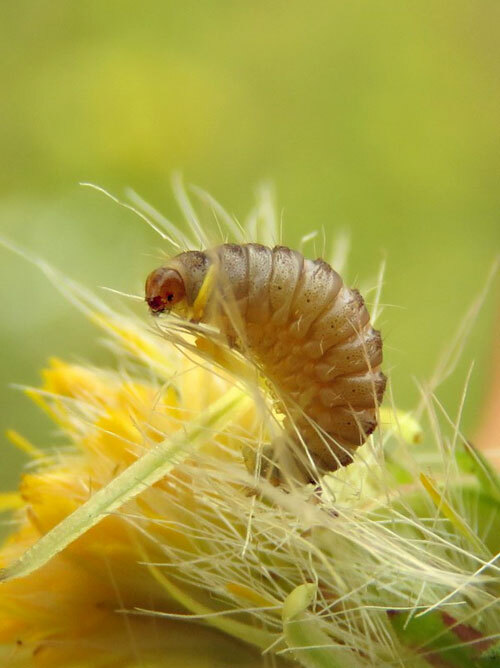 The larvae of the second generation appear in August, feeding in the flower heads on the developing achenes. 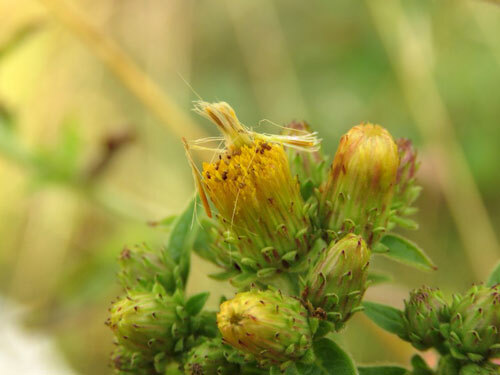 Their presence is betrayed by the pappus of a few flowers protrudes above the flower head. 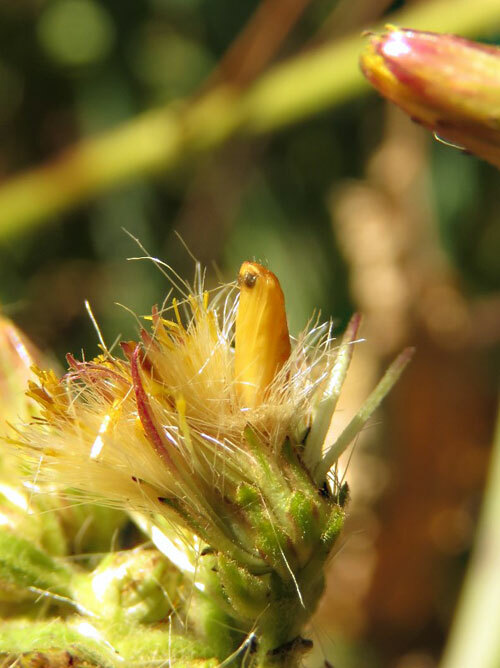 This second generation pupates in the flower heads; there is no cocoon. Buphthalmum salicifolium; Carlina vulgaris; Inula bifrons, conyzae, hirta, montana. Beirne (1954a), Bella (2007a), Gielis (1996a), Hart (2011a), Nel (1996a).